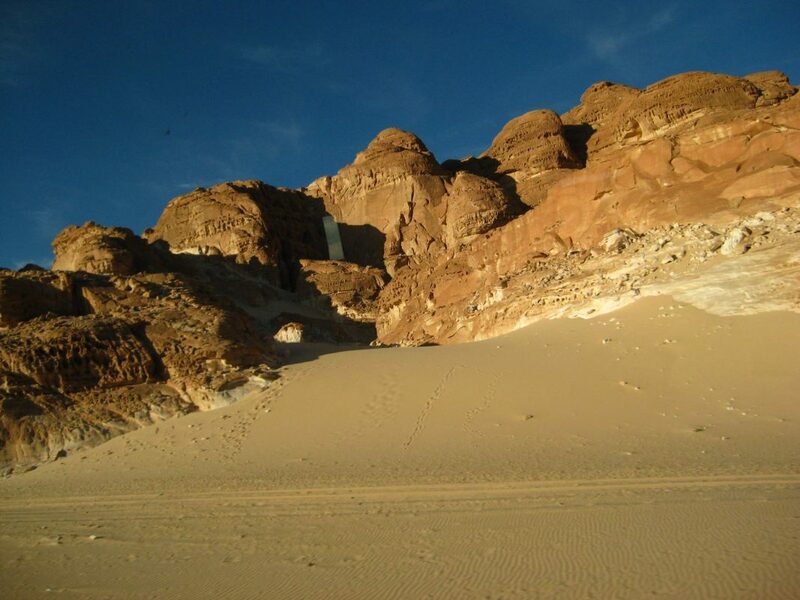 October 18 – 30, 2019 – Jordan-Israel-Egypt with Pilgrimage Chaplain – Catholic Travel Inc. Arrival in Amman airport. Meet and assist by a local guide. Drive to Mount Nebo, where Moses viewed the Promised Land before he died. Then pass by Madaba to visit the Monastery of St. George which hosts the unique mosaic Map of Egypt, Jordan and Holy Land. The map is believed to be the first one for this area, as it was built in the 6th century A.D. Transfer to hotel in Amman for check-in, dinner and overnight. Breakfast at hotel. Today you will visit the fabled “Red Rose City” of Petra, the 2000 year old Nabatean capital, now one of the world’s wonders. Take an optional horseback ride to the SIQ. Then walk to the Treasury, a rose colored monumental building artfully carved out of sheer rock. Visit the other temples and tombs carved into the mountainside. Return to hotel in Amman for dinner and overnight. Breakfast at hotel. Check out for border crossing into Israel. Meet and assist at the border then proceed to “Yardenit” or most commonly known as the Jordan River, the baptismal site. There will be renewal of Baptismal vows. Move on to Nazareth to visit the Basilica of Annunciation where the Archangel Gabriel announced to Virgin Mary the birth of Jesus Christ. Visit also St. Joseph’s workshop and Home of the Holy Family. Then proceed to Cana, where Jesus performed His first miracle. He turned the water into wine at the Wedding in Cana. (Those who wish may renew their Wedding vows at the Church). Then proceed to hotel for check-in, dinner and overnight. Breakfast at hotel. Have a boat ride on the Sea of Galilee. Drive to Capernaum, the town where Jesus made His home after leaving Nazareth. View the remains of the ancient Synagogue in which He taught, and on to Tabgha, where the Miracle of the Multiplication of Loaves and Fishes took place. Drive to Mount of Beatitudes; this is the site of the Sermon on the Mount and St. Peter’s Primacy Church. Then proceed to Mt. Tabor to see Basilica of Transfiguration. Return to hotel for dinner and overnight. Breakfast at hotel and check-out. Drive down to Caesarea, which was built by Herod the Great to catch sight of the Aqueducts and the Roman Theater. This is where St. Paul was imprisoned. Enroute to Haifa to visit Stella Maris Church where one can enjoy a panoramic view of the Mediterranean. Transfer to hotel for check-in, dinner and overnight. Breakfast at hotel. Start the full day tour at Mount of Olives to visit the Ascension Chapel where Jesus ascended into Heaven. Visit the Church of Pater Noster to witness the “Lord’s Prayer’ written in several languages. 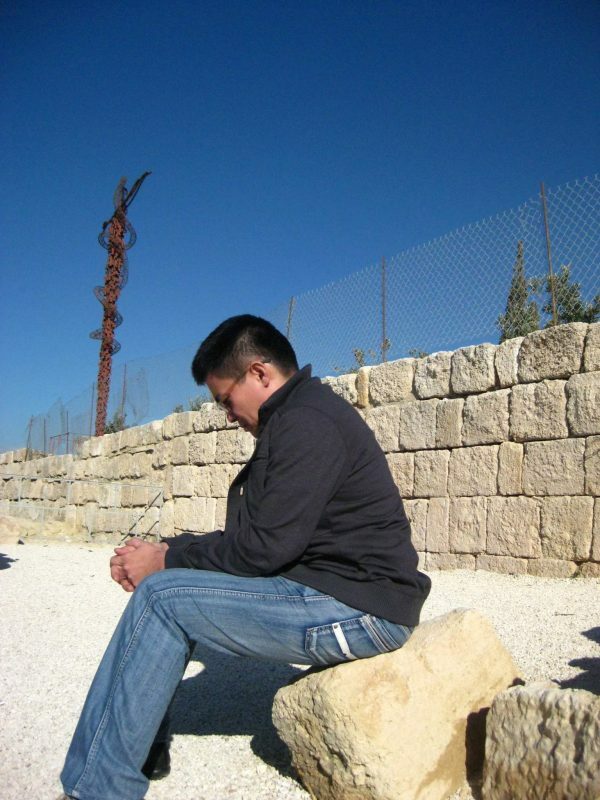 Proceed to the church of Dominus Flevit (God Wept) where God wept over Jerusalem. Move on and continue by walking down the Palm Sunday road to the Church of All Nations and the Garden of Gethsemane to see the Rock of Agony the place where Jesus prayed before the Roman soldiers came for Him. Visit the Mount Zion area to see the Upper Room where Jesus and His disciples had their last supper. See also King David’s tomb, the Dormition Abbey and the Church of St. Peter in Gallicantu, Return to hotel for dinner and overnight. Breakfast at hotel. Visit the Church of St. Anne, Pool of Bethesda. Then continue to Via Dolorosa starting at the Ecce Homo where Pontius Pilate washed his hands. Proceed to the Flagellation and go through all the Stations of the Cross until you reach the Church of the Holy Sepulcher where Jesus was crucified, died and rose from the dead. 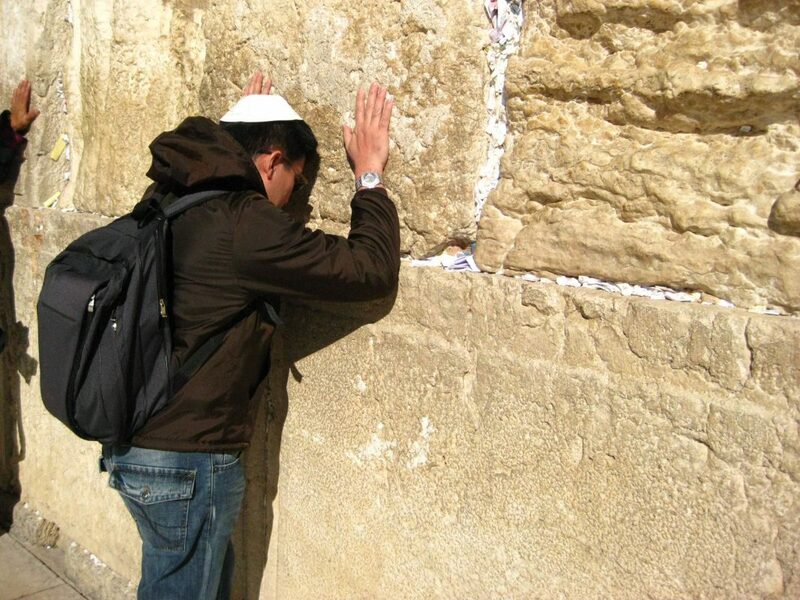 Visit the Wailing Wall. Drive to Ein Karem to visit St. John the Baptist Church and Church of Visitation (Magnificat) where the Blessed Virgin Mary visited Elizabeth. 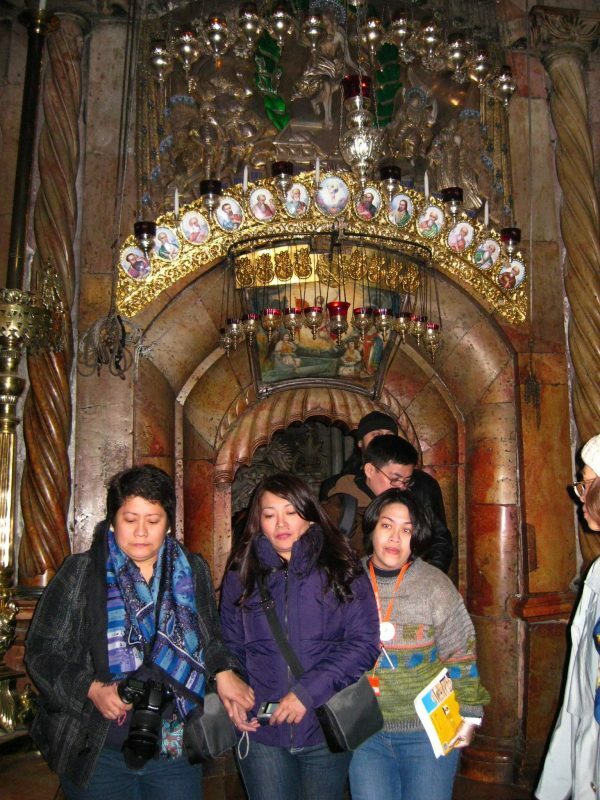 Move on to Bethlehem to visit the Church of Nativity the traditional birthplace of Jesus. Visit also the Basilica and Grotto of the Nativity and the Manger Square. Return via Shepherds Field, the site where the star appeared to the shepherds which lead them to the manger where baby Jesus was born. Visit also the Milk Grotto. Then back to hotel for dinner and overnight. Breakfast at hotel and check-out. Visit to the Dead Sea and Qumran, the caves of the Essenes where Dead Sea Scrolls were found by a wandering shepherd boy. Drive to Jericho to view the Mount of Temptation where Jesus Christ spent 40 days fasting and where he was tempted by the devil. Cross Eilat border for crossing into Egypt. Will be met and assisted for drive to hotel for check-in, dinner and overnight. 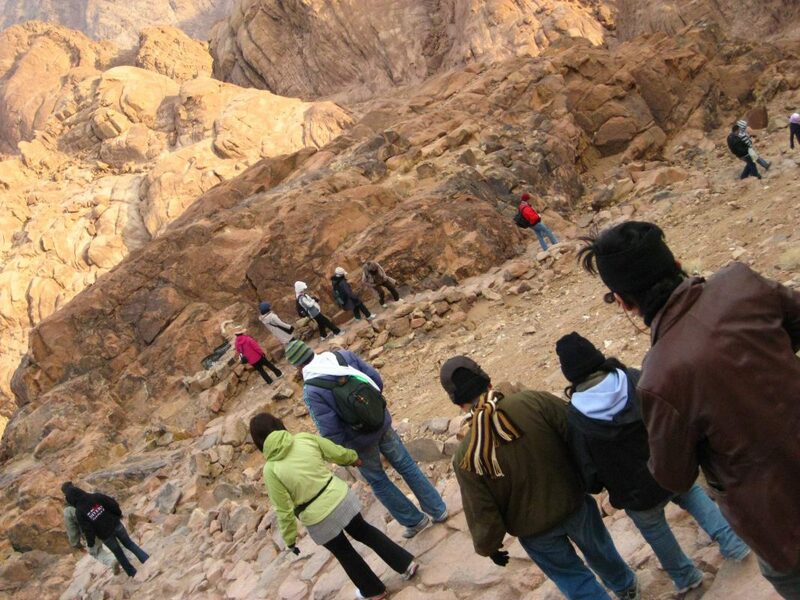 Early morning (optional) climb to Mount Sinai. Hotel breakfast and check-out. Visit the St. Catherine Monastery. Have a long distance drive to Cairo. Check-in at hotel in Cairo for dinner and overnight. Breakfast at hotel. Have a visit to the Egyptian Museum, one of the richest museums in the world. Proceed to the Pyramids and Sphinx. Stop at the Papyrus factory and the perfumery. In the evening, we will have Dinner Cruise at Nile River before returning to hotel for overnight. Breakfast and check-out at hotel. 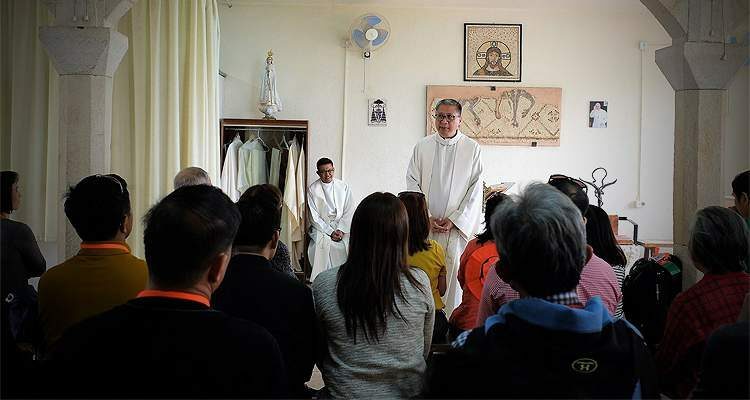 Visit the Hanging Church and the Crypt of the Holy Family. After lunch, transfer to airport to catch flight to Manila.